While we may have reviewed many Antec cases before, do you think I’m going to turn down the chance to review some revamped versions of their entire performance one line? Exactly. Today I spent my 9-5 taking pictures and testing the Antec 1200, the big boy of the bunch. This is the v3 that comes with a USB 3.0 connector and an SSD drive slot. Let’s see how it does in the contemporary arena. As usual, any comments are appreciated. Please let us know what you think of the review. If you feel we could do a better job, tell us here. is it possible to fit a redeon 6990, in some way, like removing a hdd cage? I imagine yes, but it would be a tight fit. I’m afraid I don’t have the card to hand to be able to test right now though. hi, in the cons of this product you say there are not dust filters, but it’s not true. They are in the front panel, in front of intake fans, and there’s one in the side panel. I can confirm as well that there are dust filters, in the side panel window and in front panel case for the hard drives. Please be a little more careful with reviews because they can be a little misleading and people can miss out a great product as this one. It is indeed a great product, however my version did not have dust filters. Perhaps it was a pre-release. I’ve tweaked the review to say that the case now comes with filters in certain places. The big minus for this case, is the problem with big CPU coolers. If you like me have a 140 mm Noctua CPU cooler, there is no room for a 120 mm fan on the side panel. And with today’s large Videocards that get hot, it’s not ideal without the side fan cooling the videocard. I have the Antec twelve hundred v.1 and before I got the big cooler I loved this case very much. Lot’s of space, good solid case made of aluminium and steel. Sad it’s to small for the modern CPU coolers. 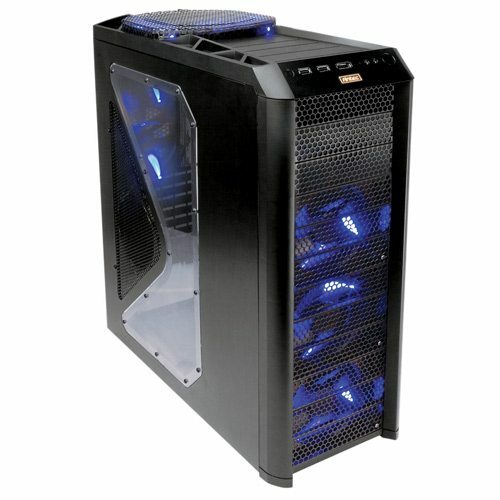 Antec should make this case wider, like 25-28 cm wide, then it ould be the best case ever made. I have had this case for a couple of years now. I had a smaller Antec case that I sold so I already knew the good quality. I have all my fans set at low and a massive Noctua NH-D15 Premium cpu cooler. Man that this is massive! When I installed the side fan I had to trim one of the corner tabs to make it fit. No big deal. The whole unit runs pretty quiet even though it’s right next to me. I have been contemplating changing to a Corsair liquid cooler. I have something like 5 hard drives with two being SSD’s. Even with the AMD Phenom Black overclocked it still runs cooler than my older system running at normal speeds. My case is the updated version and did come with filters for the front and side. I also installed fans on the back side of the HHD bays.